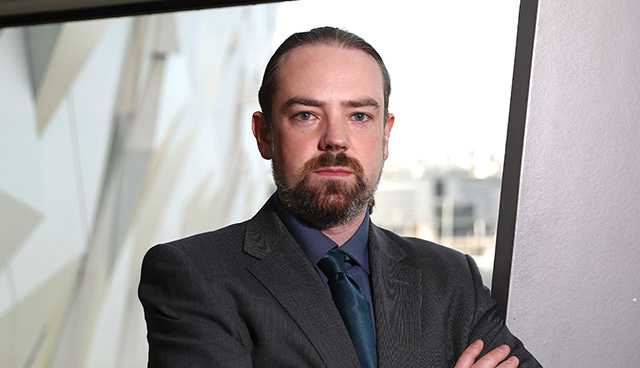 Ireland’s Single Electricity Market (SEM) and the financial, infrastructural and governance institutions and mechanisms that underpin it are at a time of significant uncertainty, writes Thomas Muinzer, lecturer in Environmental and Public Law at Stirling University. These challenges are compounded by the way in which many analysts have tended to overlook these important circumstances, not least in the mainstream media, where controversy around the issue of a hard vs soft border between Northern Ireland and the Republic – undoubtedly important in its own right – has served to deflect attention away from other vital issues, including the future of the SEM. The SEM operates across the island of Ireland as a bespoke energy market, spanning Northern Ireland (on course to leave the EU) and the Republic of Ireland (remaining within the EU). It has a range of characteristic features. In particular, it draws together the northern and southern electricity markets, such that (most) electricity on the island is bought and sold through a gross mandatory pool. A standardised System Marginal Price (SMP) is calculated for each trading period that means generators receive and supplier units pay the same SMP. Further, an annually standardised system of collection and distribution of payments for capacity is employed, and a SEM Trading and Settlement Code lays out the general rules and procedures governing the market. The SEM is overseen by the Single Electricity Market Operator (‘SEMO’), and a SEM Committee functions as the primary decision-making authority. Given that the SEM spans the island of Ireland, it is clear that the market is subject to a notable degree of uncertainty at present, not least since final UK-EU Brexit arrangements are yet to be agreed. Moreover, important SEM governing entities have an island-wide composition: SEMO is comprised of EirGrid (Republic of Ireland) and SONI (Northern Ireland); and the SEM Committee is jointly comprised of northern and southern regulators. It remains to be seen if Brexit might compel some degree of alteration to the manner in which these entities function. The Northern Ireland Act 1998, as amended, has been the headline legislation governing Northern Irish devolution since its implementation in 1998. Devolution has been suspended and reinstated several times since then due to the volatile nature of Northern Irish politics. Under Direct Rule during one such period of collapse, with Peter Hain as acting Secretary of State for Northern Ireland, the crucial energy partnership with the Republic of Ireland was cemented, resulting in the launch of the SEM in November 2007. Since the restoration of devolution after that period, the SEM has been operated jointly by Northern Ireland and the Republic of Ireland. 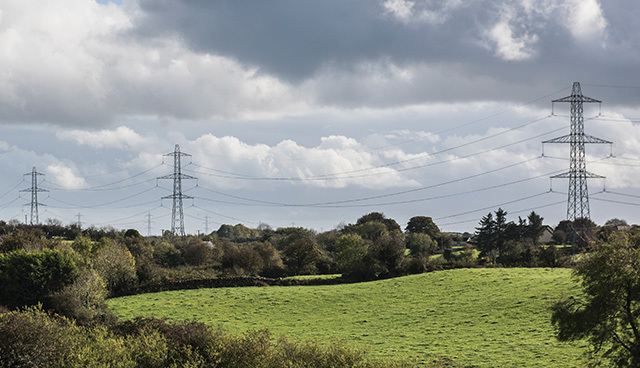 A legal framework locks these arrangements in place: in Northern Ireland, the Electricity (Single Wholesale Market) (Northern Ireland) Order 2007; in the Republic, the Electricity Regulation (Amendment) (Single Electricity Market) Act 2007. The legislation is supported by a Memorandum of Understanding between UK Government and the Government of Ireland. It can be seen here on the evidence that the SEM is not primarily driven by the EU. It is an indigenous development specific to the island of Ireland, which does not originate in the transposition of EU law or policy. This means that the SEM is automatically shielded to some extent from the shocks and buffeting of Brexit. That said, such in-built shielding from Brexit is only partial. The Lisbon Treaty of 2007 made substantial amendments to the EU’s constitutional order, giving the EU institutions a fairly extensive ability to act directly in the sphere of energy. Amongst other things, it opened up significant capacities to act in relation to internal energy markets and the interconnection of energy. The EU’s 20-20-20 climate and energy decarbonisation programme was issued under the new Lisbon powers, requiring as follows for 2020: a reduction of EU greenhouse gas emissions by 20 per cent below a 1990 measurement baseline; the improvement of EU energy efficiency by 20 per cent; and a 20 per cent increase of renewable energy in the EU energy mix. This regime has impacted the SEM significantly, in particular through subjecting it to an EU Emissions Trading Scheme (ETS), serving to depress SEM-sourced emissions and stimulating emissions offsetting and renewables deployment. The EU’s Third Energy Package has also been extremely impactful. This regime is intended to develop a single EU gas and electricity market. Within this framework, an EU Target Model designed to drive electricity market integration has been acting on the SEM, which is in the process of becoming the Integrated Single Electricity Market (I-SEM) to achieve these ends. With the I-SEM now ‘live’, the Republic of Ireland (and Northern Ireland with it) is being drawn in a direction towards greater EU electricity integration just as Brexit, paradoxically, is simultaneously threatening to pull Northern Ireland in a different direction (out of the EU). This amounts to a key problem that must be carefully managed over the course of Brexit negotiations in the interest of market and consumer stability. A principled agreement is required in order to attend to these and related challenges. Such an agreement will require a specifically delineated, harmonised set of all-island common rules that can facilitate the I-SEM’s continued smooth operation in the post-Brexit period. These rules may likely be complex. For example, SEM rules to date have included alignment with the Industrial Emissions Directive, the EU ETS, restrictions on state aid, etc. Special common rules may also be required around citizens’ data rights in the context of I-SEM cross-border energy data exchange. These concerns notwithstanding, such technicalities are not insurmountable, and a key to achieving a fruitful outcome lies in recognising that it is in all parties’ interests to adequately preserve the working of the I-SEM. Parties agreed on the value of its preservation include UK Government, the Irish Government, and the European Commission. Similarly, vocal support has been offered by numerous market actors, including multiple British and Irish energy trade associations, business groups, etc.